Open up a world of opportunity, even if you lack the formal entry qualifications to study Geography at honours level. The foundation year gives you the skills and knowledge to advance successfully. If you want a strong platform for success on our BSc (Hons) Geography, why not consider taking a foundation year first? It could be the start of a journey which opens up a whole world of career opportunities. You can also take Geography as a Joint Honours subject. *Accreditation from the Institution of Environmental Sciences applies to the four-year BSc (Hons) Geography with Foundation Year course only. Our foundation year route means that even more students can benefit from the excellent teaching, impressive facilities and fascinating fieldtrips on offer through our BSc (Hons) Geography. Studying Geography with a foundation year is a smart move if you don’t have the formal qualifications to enter our honours degree programme directly. It also broadens your horizons if you are contemplating a change of career or want to further your interests and improve your knowledge in this fascinating subject area before moving on to honours degree level studies. We will equip you with the skills, understanding and confidence so that you can complete the full BSc (Hons) in four years. The foundation year is designed to nurture your ambition and potential. You’ll enjoy all the benefits of being a University of Derby student from the outset, with continuous progression from foundation year to the full degree – without the need to apply again after your first year of study. Your foundation year learning will feature geoscience, organisms and their environment, chemistry and sociology to give you a broad base of knowledge for your future studies. We also equip you with study skills in science, research methods and data handling to ensure you have the best chance of success. Our aim is to arouse your curiosity about the Earth and the human societies that inhabit it. And, because reality can differ from the text books, we give you every opportunity to apply theory to practice via fieldwork in the UK and overseas. You’ll gain vital hands-on experience which sheds new light on what you have covered in class. Derby is superbly located for the aspiring geographer. You can explore a vast range of interesting locations in the vicinity, such as nature reserves, sites of special scientific interest, ancient woodlands, quarries and solar farms. Our students have undertaken practical sessions and field-based learning in settings as diverse as East Midlands Airport, Skegness, Nottingham and the Peak District National Park. Residential field courses are offered as an integral part of your studies. 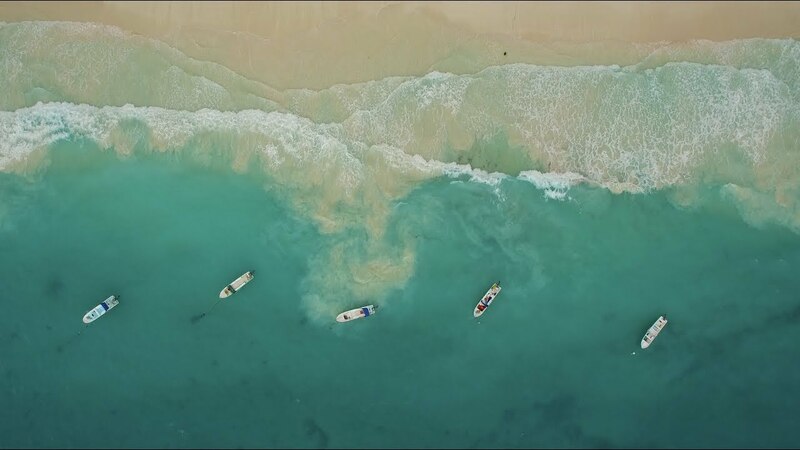 You could find yourself conducting investigations in places ranging from the Lincolnshire coast to the Mediterranean or Morocco. Any fieldwork associated with compulsory modules is included in your course fee. Our modern and sophisticated learning facilities are the perfect setting for you to gain practical and technical skills. 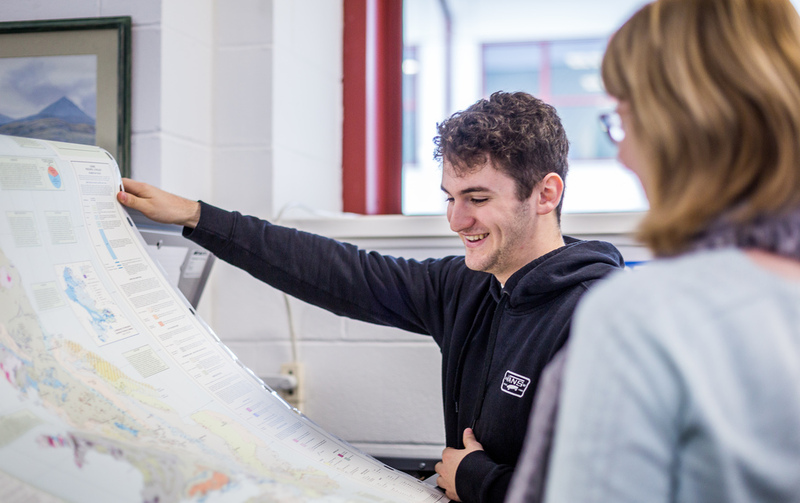 In our spatial data laboratory, you’ll discover one of the best map collections of any UK university, while our geotechnical, sedimentology and specialist computing laboratories give you the chance to experiment, analyse and explore. You can also make the most of our student research laboratory where you will have a dedicated space to conduct your independent investigations seven days a week. We provide all the high-tech resources you need to test and analyse specimens like vegetation, soil, water and rock samples. Throughout you’ll get to grips with industry-standard equipment such as GNSS, total stations, soil augers and field spectrometers. We also subscribe to the Digimap Service so you have full access to the digital databases of the British Geological Survey and the Ordnance Survey. There are exciting opportunities for overseas study and work placements. Such experiences will help you stand out as a forward-thinking, ambitious and resourceful geographer. Through our optional vocational module, you could go on a work placement in a graduate level role or undertake a relevant voluntary project. This will help you gain additional skills, from communication to project management, to set you apart in the eyes of employers. You could also apply to spend time studying in the USA or Canada, broadening your knowledge of geography. Even a short work placement can provide invaluable experience, as our Geography student Lauren Moore discovered when she spent a week with Envireau Water. Our four year BSc (Hons) Geography with Foundation Year course is one of only a handful of Geography degrees in the country to be accredited by The Institution of Environmental Sciences (IES), lending real professional credibility to your qualification and giving you the edge in the global graduate job market. IES approval underlines how our course is mapped against the skills that employers are seeking. It also gives you an assurance that you will be studying high-quality modules focusing on the international challenges that face our society in the 21st century. In addition, you will have preferential access to internship and placement opportunities with the Institution. As part of the accreditation process, the IES praised us for providing students with a powerful mix of laboratory and field skills, plus excellent career development opportunities. The endorsement means that you can join the IES with Student Member status for free. Upon graduation, you will then have the opportunity to become an Associate Member, giving extra impetus to your career plans. By studying Geography at Derby, you’ll become part of a lively scientific community. Our teaching team includes active researchers, authors and consultants undertaking cutting-edge projects worldwide. We will also introduce you to practitioners from a wide range of geography-related fields who deliver guest lectures and share inspirational insights from their own careers. We play a leading role in the Derbyshire Branch of the Geographical Association too. One of the advantages of our degree is that it is informed by influential research so you can keep abreast of what’s new and next in the world of geography. 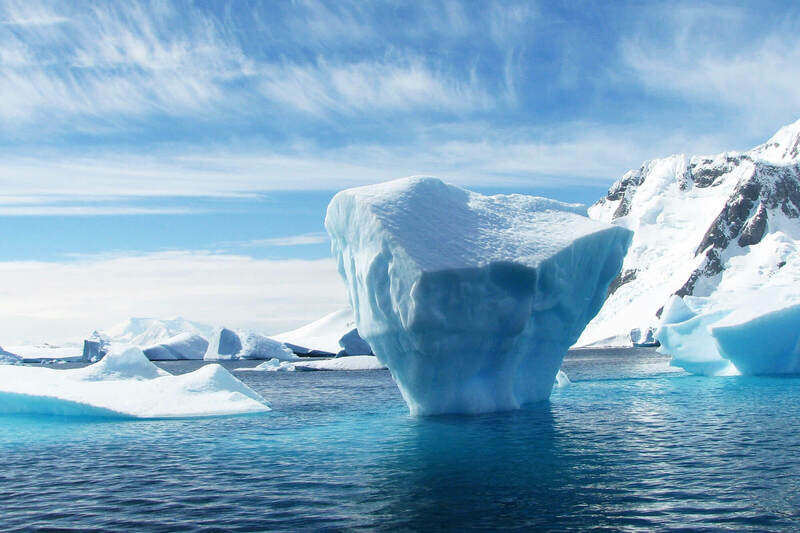 Our current research projects span subjects such as the impacts of climate change, paleo climatic reconstruction in Greece, argan tree conservation and restoration in Morocco, use of biogas in less economically developed countries, rising sea levels in Ghana, and the implications of food allergies. Please note that if you study abroad in stage two, your modules will differ from those outlined above. Each single module is worth 200 hours of student study. Compulsory class based contact time (lectures, seminars and practicals) is typically three hours per week for each module. On top of this, many modules have compulsory fieldwork elements (e.g. half day, day and/or residential field courses) that all students are expected to engage with. There are optional tutorial classes for modules and any 1-2-1s arranged with lecturers or your personal tutor regarding your studies. The remainder of the time is spent undertaking directed reading, making notes and undertaking assignments. 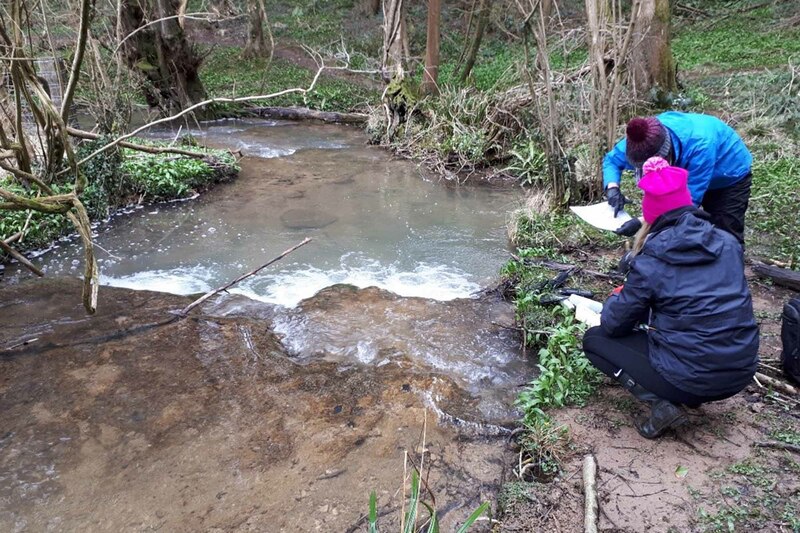 Fieldwork is an important part of our programme - all fieldwork is associated with particular modules and most of it involves half or full day trips to locations around the region (including Derby, Nottingham and the Peak District). We also have three residential field courses. In stage one there is a weekend residential field course to the Lincolnshire coast. In stage two there is a week-long field course to the Mediterranean, and in stage three there is a week-long field course to Morocco. An optional vocational work placement module is available by negotiation in stage 3. Our course is very practical and gives you the hands-on experience that you need to prepare you for your career. We have invested in our facilities to ensure that you learn in realistic environments. You will also use industry-standard equipment and software so you can be confident that you will gain valuable experience. Take a look at our facilities. We use a diverse range of assessment methods, including essays, reports, field and laboratory notebooks, portfolios, posters, infographics oral presentations, vivas, and written exams (seen and unseen). You may be assessed individually or as part of a group. We’ve mapped our assessments against key graduate skillsets that employers require. Among the major benefits of this degree is the chance to select from an extensive range of optional modules. It means you can tailor your studies to your strengths and chosen career path – whether your interest lies in sustainable energy or population geography, climate change or food security, environmental management or GIS. Our graduates have progressed to a wide variety of roles in agronomy, environmental consulting, data analysis, rail planning, water quality analysis, teaching, GIS and conservation. Because the BSc (Hons) Geography equips you with highly transferable skills and knowledge, you could also consider a career in commerce, public services, research and industry. Some of our graduates are now enjoying success as surveyors, land managers, business analysts, transport officers and civil servants.